Andrew, one of the most personable and thoughtful guys you’d ever meet, started working at a non-profit agency to fulfill the placement requirements for his social work degree. It just so happened that a passionate and adorably positive young woman named Marie was a project assistant at the same Agency. As fate would have it, they soon became the best of friends. Office chats soon grew into long walks, and over time it became clear that Marie and Andrew’s meeting wasn’t happenstance. On December 19th, after a night of Christmas festivities with friends, Andrew asked Marie to become his happily ever after. 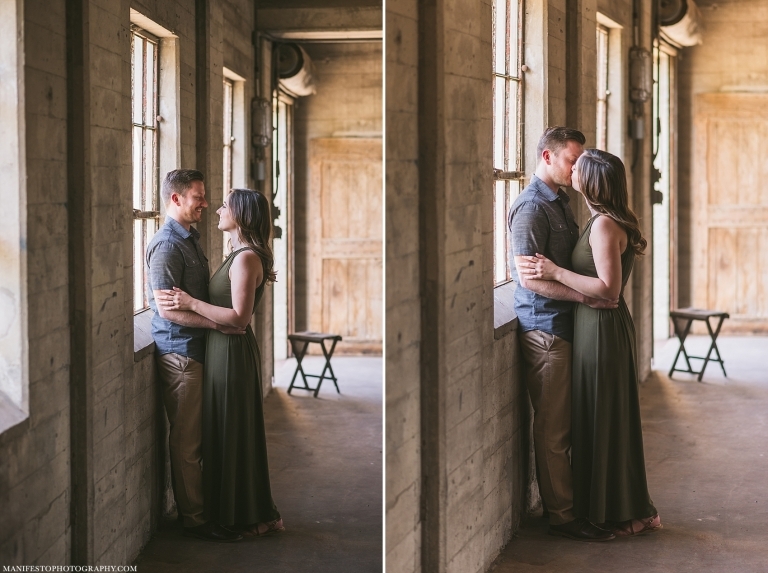 We met up with Marie and Andrew at The Old Harrow Mill, the perfect first location for their charming, engagement session. 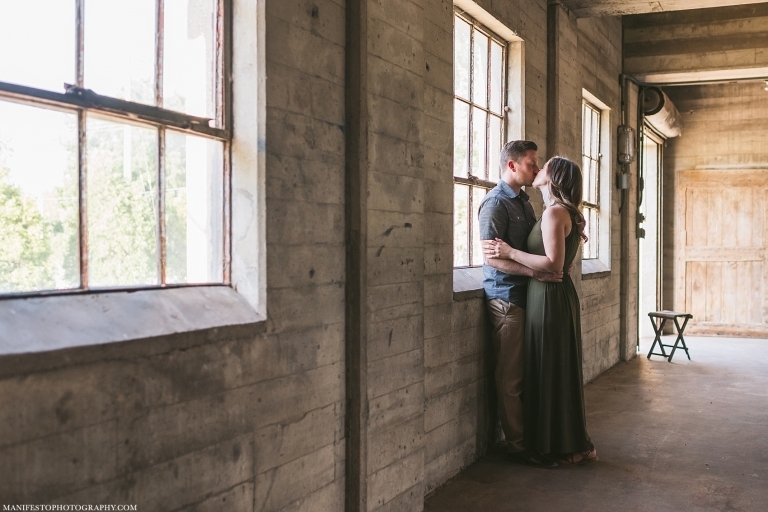 The exposed walls of The Mill gave off a cozy, romantic feeling and the beautiful vines and candles brought along by CJH Florals gave warmth and colour to the session. This easy setting allowed Marie and Andrew to relax and have fun celebrating this special moment in their lives, and you could see how smitten they were with one another from the very beginning of the shoot. From there we went to an outdoor garden, secret and secluded, and settled down to take a few photos. Surrounded by lush, green, vines crawling up wood arbours, spacious lawns, and big pine trees- it really felt like we had stumbled upon our own personal Secret Garden. You could tell how at home Marie and Andrew felt in this beautiful, outdoor environment, how natural it was for them to be outside; they’re the kind of people who see the whole world as a garden just waiting to be discovered, and they’re always ready to explore it together. 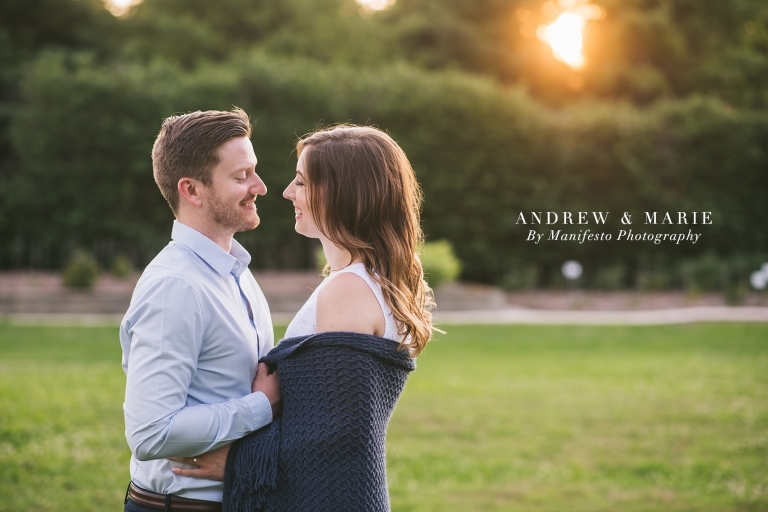 Marie and Andrew, we were thrilled that you chose us to take your engagement and wedding photos! It means so much that people we hold so dear to our hearts would trust us with such important moments of their lives! You two are such beautiful souls, and we could not be happier that you have found each other. We cannot wait to celebrate with you next year on the best day ever, your wedding day!